2014 Mae Douglas Leadership Award Winner Lynnette Smith, and NAMIC Atlanta Chapter President, William B. Cossey Jr.
Last month I had the opportunity to attend and photograph an awards dinner hosted by the Atlanta chapter of the National Association for Multi-ethnicity in Communications. Every year the chapter selects a member who has served as an example of outstanding leadership. This year, past president Lynnette Smith of The Weather Channel was awarded the Mae Douglas Leadership award. With her guidance, NAMIC Atlanta took home three chapter leadership awards last year, Watch Us Grow, Chapter Leadership Team of the Year, and Chapter of the Year. In addition to honoring Ms. Smith, the dinner was a networking and mentoring event. Instead of the usual corporate dinner chatter, each table of attendees had a list of conversation starters, and members were encouraged to ask questions and share career advice with mentors seated at each table. The dinner was attended by several special guests. The keynote speaker was Martin Davidson, ‎Professor of Business Administration at University of Virginia Darden School of Business. Darden partners with NAMIC to conduct the Executive Leadership Development Program. ELDP is a seven-month long training program for upper-middle level communications executives of color. In 13 years, the program has graduated nearly 500 executives. Several program graduates served as the evening's mentors. NAMIC's new National President and CEO Eglon E. Simons addresses the Atlanta chapter. NAMIC's newly appointed President and CEO spoke to the audience. Eglon E. Simons stopped in Atlanta as part of his tour to meet members of local chapters. Simons takes over the office after spending his career working for CBS and Cablevision Systems. NAMIC Atlanta's leadership team. 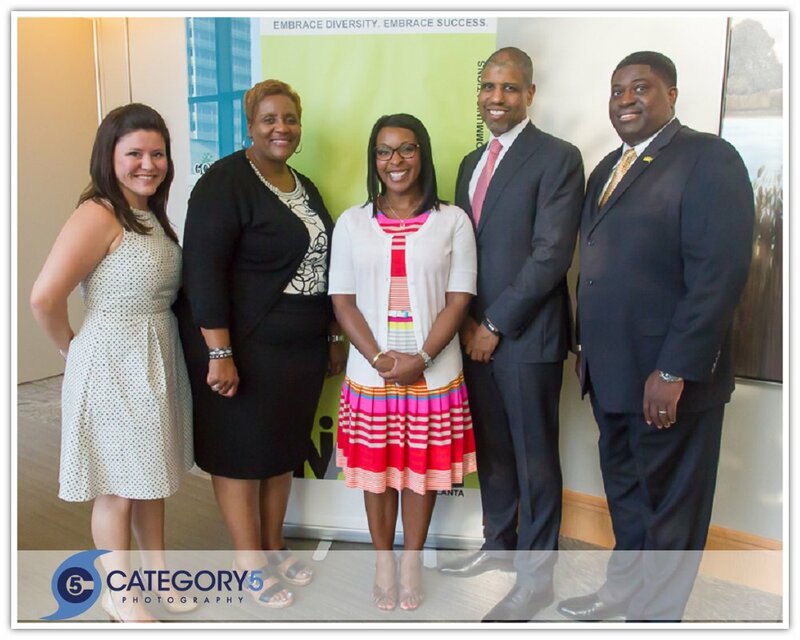 Secretary Erin Kaczmarczyk, Treasurer Joyclan Sumpter, Vice President Alana Moton-Leverette, Keynote speaker Martin Davidson; and NAMIC Atlanta Chapter President, William B. Cossey Jr.
Because the evening was about networking and career development, NAMIC Atlanta and I gave away headshot sessions to two members. I'm looking forward to sharing those images soon. 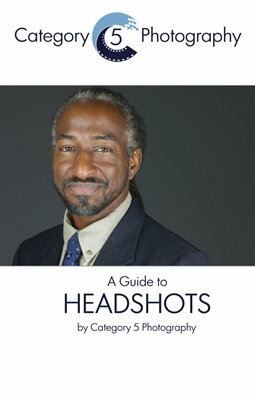 I also had the chance to talk to a senior recruiter about the importance of having a professional headshot done, and why your LinkedIn profile has become so important. That's coming in my next post. If you have an event you want documented, please contact me.